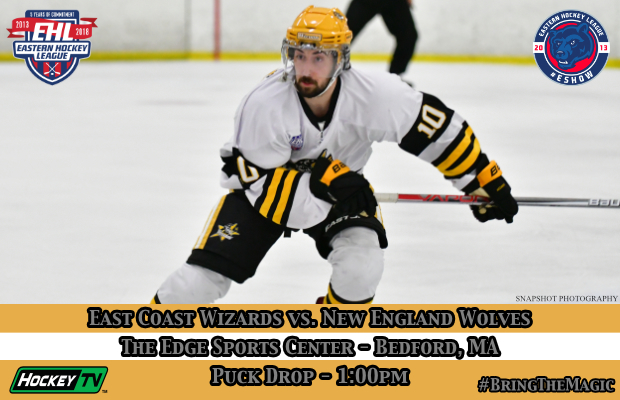 BEDFORD -- After a 5-0 statement win against the Vermont Lumberjacks on Wednesday, the Wizards will look to keep the momentum rolling against the New England Wolves this afternoon. The Wizards currently sit in 3rd place in the Boston Division with 28 points, which is double the amount of points owned by today's opponent. The Wolves find themselves on a two-game losing streak and having lost eight out of their last ten contests. Coming into today’s matchup, the Wolves currently sit in 4th place in the New England Division and have a 2-3-1 record against Boston Division opponents this season.